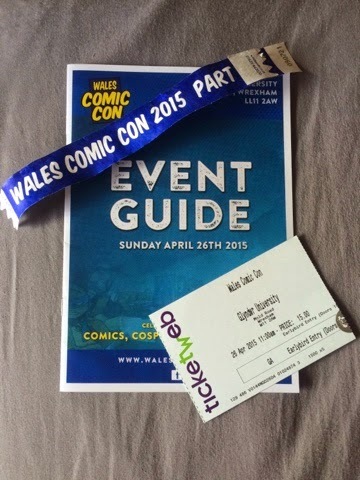 Today was the 1st of this years Wales Comic Con events and it sure was a good one! 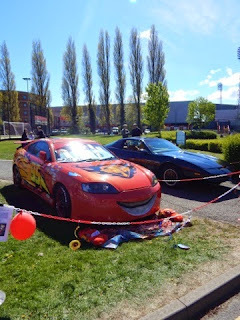 As usual I've had an amazing day, met special guests, got autographs, photographs and its been sun shining all day too! Setting off at 8.15am this morning killed me because I was working until 2.30am but I had a Rockstar Pure Zero to hand which helped. It takes about 1 hour to get to Glyndwr University in Wrexham which is where the event takes place. 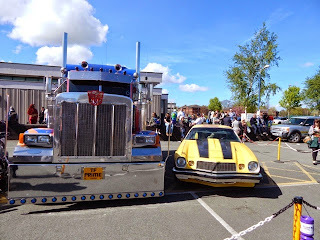 We had early entry tickets so joined the correct queue and waited until 10.00am to be let into the event. Wristbands and event programmes are given on arrival, the programmes are great to plan out your day. If you have photo ops or want to attend a panel whilst at the show all the times and places are in the programme. 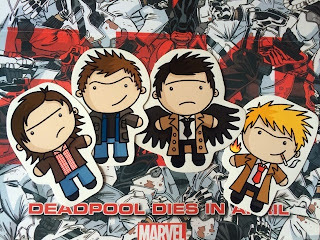 First stop was My Geek Box (MGB) to check out Funkos who disappointingly didn't have ant figures I was interested in but had loads of stock from previous subscription boxes. In the same area as MGB was Chester Comics which had brought around 5,000 comics to the convention. 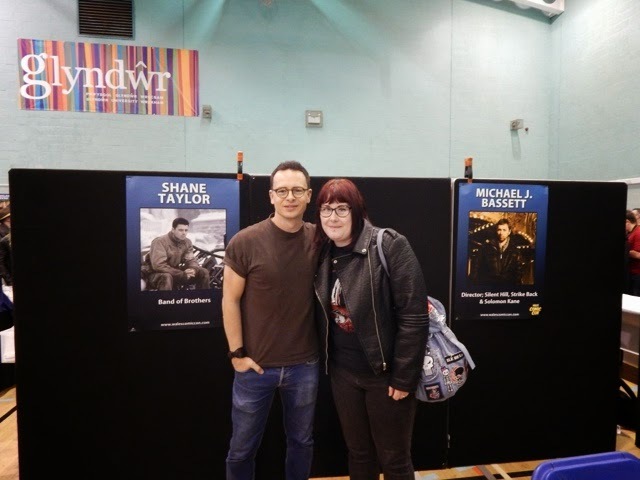 The main hall is where the special guests are and most of the stalls, guests are all around the room, signs on the wall tell you who the guest is and how much autographs are etc. I was interested in meeting Emmett Scanlan and Matt Ryan the most, I was gutted when Emmett had to cancel last years Comic con. 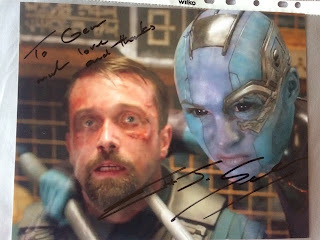 I was able to meet both Emmett and Matt and get autographs and photographs with them both. Most autographs are priced at £15 and most guests will have a photograph with you if you ask. 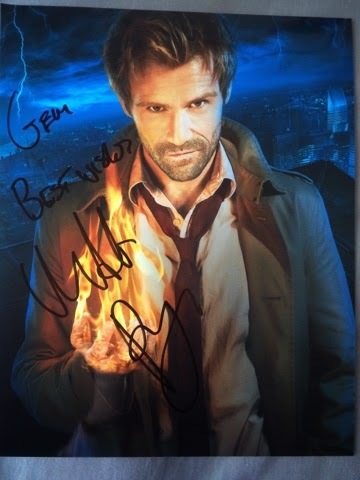 I had a good chat with Matt Ryan about Constantine and I'm hoping that season 2 will get the go ahead!! 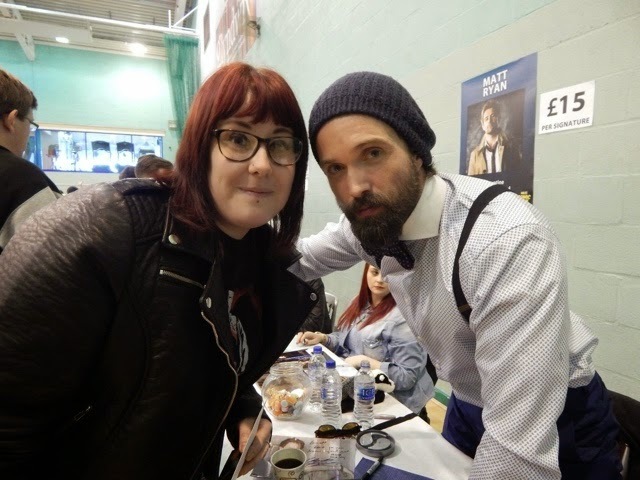 -fingers crossed- Emmett Scanlan was lovely to chat too as well, we discussed him dying in different shows haha, I told him I wanted another season of In the Flesh and I hope that gets the go ahead as well!! 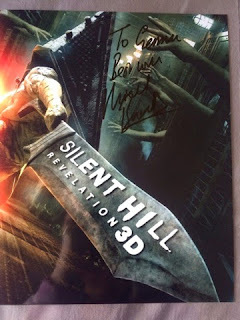 The director of Silent Hill Michael.J.Basset was at the event signing for free!!! He was very approachable and let me have a photograph as well as an autograph!! 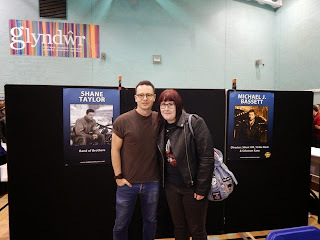 Next too Michael was a Band of Brothers actor Shane Taylor who was also signing for free, I got him to sign a photograph for my boyfriend as he is a fan of the show. Thanks to both for signing for free!! 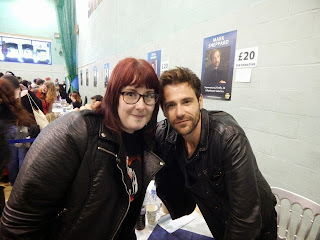 Sean Kelly and Jesse McClure from Storage Hunters was in the main hall, I didn't get anything signed but I spoke to Jesse to tell him thanks for picking me as a winner on his Facebook competition a few months ago! Free money is money right was his exact words! 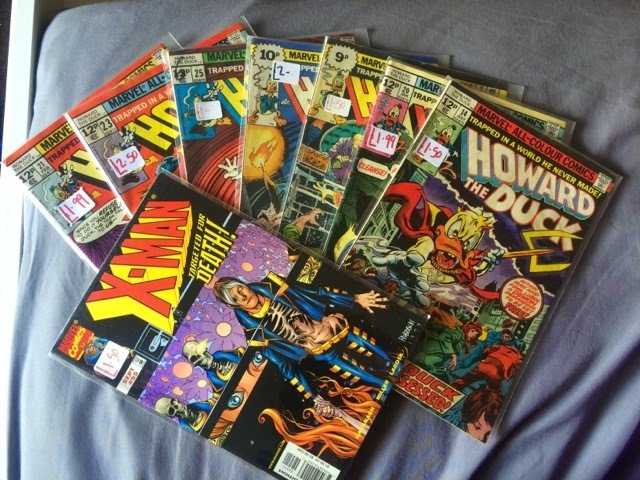 After some lunch in the University's canteen, I had a good root though all the comics on the Chester Comics stall and found some Howard the Duck comics in the 50p box and also a X-Men comic in the same box. Win! The friends I went with had booked photo ops with Mark Sheppard (Crowley - Supernatural) who we met last year. Whilst they was doing that I had another look around the main hall and found some cartoon stickers from an artists however the stickers he had was his wife's work. 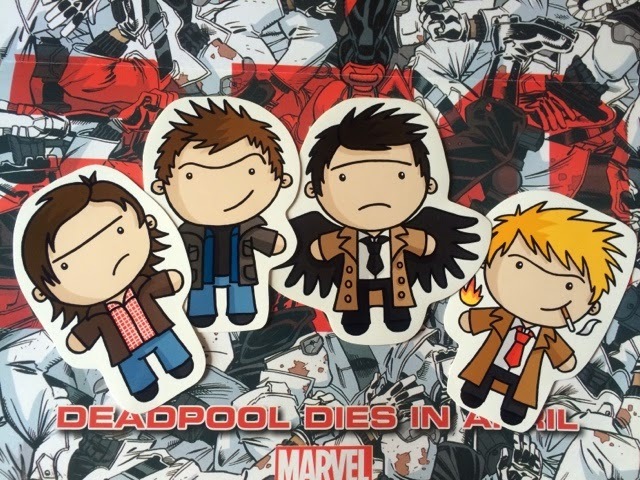 Still I loved the little characters and brought a Sam, Dean and Castiel from Supernatural and a Constantine for just 50p each. Last year I watched the Live Storage Hunters Auction in one of the Nick Whitehead Theatre but unfortunately I couldn't get in to watch this one because the queue was massive! I was disappointed but glad I watched last year when I had a front row seat. Wales Comic Con is my favourite convention that I attend, it gets better and better each year, more guests than a lot of conventions and lots to do over the course of the day! The comic con team did an epic job today and I thank you for a great day! Same again next time. Here's a few photographs from the event including Lightening McQueen and Kit Cars, Groot Wood work which was being carved during the event and the Transformers Cars. Here's a few tips for if your attending a convention in the future. 1. Wear comfortable shoes - You will be walking around the event all day. 2. 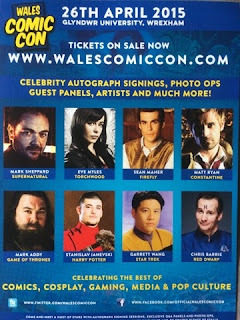 Bring enough money - Wales Comic con doesn't have a ATM on site. 3. 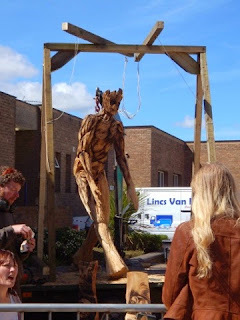 Take some lunch/snacks - food is dear from the vans and there's most likely to be a queue. 4. 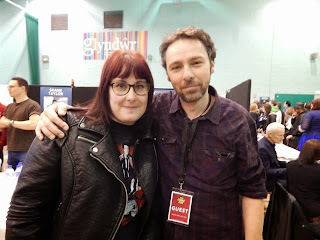 Plan your day - from travelling to the con and when you get into the event. 5. Don't forget your ticket!